Our technology leaders demonstrated it to teachers, explained how cool it would be to share examples of good work our students have done, show a science experiment so everyone can see (and include more than the students closest to the experiment), or demonstrate how to use a particular math manipulative. At the time, I was feeling overwhelmed [like most teachers], and really didn't see it being of much use to me. Teaching special needs students, we had very small groups of students working on the same thing (in a classroom of 8 students, I usually had at least 3 different activities going at the same time, so I never had a group of more than 4 students, and it was easy to share good work in a group of 4!). The one day I intended to use our school document camera to demonstrate how to use our new geoboards and create polygons, our technology coordinator was absent and I didn't have any access to the camera (poor planning on my part). So this chapter was short, but it had some good, useful, easy-to-implement ideas of how to use a document camera. Annotating authentic text was my favorite idea. Especially when paired with a SmartBoard, teachers could find articles related to whatever the topic was, place the article under the document camera, and use the floating ink tool (which comes with the Smart Notebook software) to highlight, underline, draw arrows, etc. all over the article. Then, take a picture with your screenshot tool and link to your class website, print it out, hang it in the classroom, etc. I love when teachers take the time to show students there is a purpose behind learning about _____, other than just because it is included in the curriculum for their grade. I also like the idea of using the document camera to demonstrate handwriting. I am now teaching my four-year-old son how to write his letters. In a 1:1 situation, it is sometimes hard for him to see exactly how I am holding my pencil, and where to start and finish on the letters. He has also has already gotten into some pretty bad habits with writing letters (for example, when writing an n, he makes an upside down 'u', then adds the 'tail' on top). I can see how it would be really tough for a kindergarden or 1st grade teacher to teach proper letter formation to 30+ tiny people all at the same time. That is where a document camera might come in really handy. 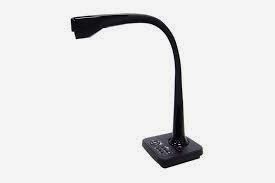 Do you have a document camera in your classroom? Have you ever used one?